We are hiring now. MJ Fire Safety are actively looking to recruit new members of staff to join our team. We are looking to employ a Passive Fire engineer and an Administrator. We will consider all levels of experience . The applicants must be willing to work within London and the South East. We would love to hear from you so contact us here. 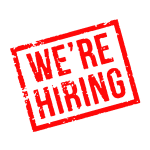 In addition you can send your CV into us at info@mjfiresafety.co.uk. This entry was posted in Building Safety, Community, Fire, Recruitment. Bookmark the permalink.